It's the synth reissue that everyone's been talking about, and now Korg has confirmed that its 'new' ARP Odyssey will be revealed this month. The synth is set to make its debut, we assume, at the NAMM Show on 22 January. The fact that Korg is billing this as a "complete revival" suggests that this will be a faithful recreation of ARP's instrument (based on the livery, we'd guess that it's the mkIII version that's being emulated), but there are no official specs as yet. 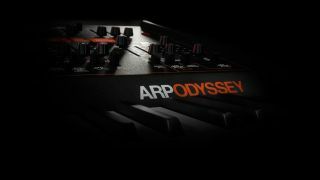 Keep your eye on the new ARP Odyssey website for more details.